Posted by liverpoolchamber in Legislation. Gas safety in Great Britain is changing. CORGI gas registration ends in Great Britain on 31 March and will no longer apply to gas safety law. From 1 April, all gas engineers must be on the new Gas Safe Register™ to do gas work lawfully. So from April, always ask for a Gas Safe registered engineer. And always ask to see their ID card. Be gas safe. For more information go to www.GasSafeRegister.co.uk or call 0800 408 5500. REACH is a new EU law on chemicals. It deals with Registration, Evaluation, Authorisation and restriction of Chemicals. 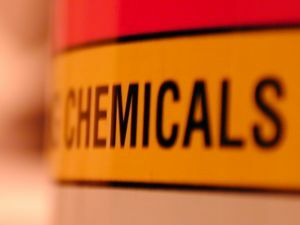 Under the new legislation, all chemicals manufactured, sold, used or distributed within the EU must be registered and approved by the European Chemicals Agency. The new regulations will be phased in over 11 years. However, to benefit from the phase in period, you must pre-register your chemicals by 30 November 2008. If you do not pre-register, you will have to register your substance immediately from 1 December 2008 to continue to market and use them legally. How could it affect your business? If you are a manufacturer or importer of chemicals, you must register your chemicals. If you do not pre-register the chemicals you manufacturer or import before 30 November, or register them from 1 December, you will not be able to legally manufacturer or import them. If you are a user of chemicals, you should talk to your suppliers to ensure that the chemicals you use will still be available. If you use chemicals or preparations containing chemicals in an unusual way, you may need to register this. 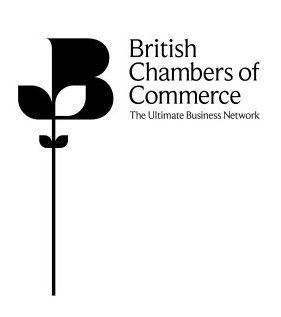 Posted by liverpoolchamber in Chamber Services, Environment, Legislation, Policy. Is your building visited by large numbers of the general public? If so, from October 1st 2008 the Energy Performance of Buildings Directive makes it compulsory for you to have a Display Energy Certificate (DEC). This rates the operational performance of your building in terms of CO2 emissions. You also need an advisory report, which highlights cost effective measures you can implement to improve energy performance. Posted by liverpoolchamber in Events, Legislation. The seminar is being held in conjunction with Canter Levin & Berg solicitors and William Burrows, Head of Employment Law will be discussing actual case studies to bring the facts to life. Posted by liverpoolchamber in Business, Environment, Legislation, News. The European Commission adopted the fees and charges that will be applicable under the new REACH regulation on 16 April. The charges will be for the registration, evaluation and authorisation of all chemicals manufactured or imported in the EU and will range from €1600 to €31000. In order to keep the burden on SMEs to a minimum, the Commission has developed a policy of reduced registration fees for different groups of companies; 30% for medium companies, 60% for small companies and 90% for micro companies. 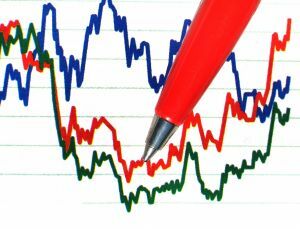 There will also be a 25% reduction for firms that cooperate on registrations due to the reduced workload for the European Chemicals Agency (ECHA). REACH requires that all substances manufactured or imported in the EU in quantities above 1 tonne per year be registered as from 1 June 2008. Extended registration deadlines apply if the substances have been pre-registered (all so called “phase-in substances” are eligible for pre-registration). Companies that want to benefit from staggered registration deadlines – 2010, 2013, 2018 – must pre-register their chemical substances between 1 June and 1 December 2008. If a manufacturer or importer of a chemical fails to pre-register by 1 December 2008 he cannot continue manufacturing or importing it until he has submitted a registration dossier. Users of chemicals cannot continue using substances which have not been pre-registered or registered by their supplier. For more information see the European Commission’s press release. Posted by liverpoolchamber in Chamber Services, Legislation, Training, Travel. Come along to a free seminar briefing on the implementation of the Driver CPC held by RTITB and Voss. Whether you operate one vehicle or 100 the CPC will affect your business. The Driver CPC will impact on almost 1,000,000 drivers; will require 3,000,000 training hours annually (freight only) and will require the training of more than 1,000 new instructors. By any measure the CPC is a major challenge for the industry. We do hope you will be able to set aside time and attend this important FREE event. There will also be the opportunity to see a demonstration of the RTITB’s new desktop, portable, in-house training system called Digit-ALL that can be used for training individuals or groups of drivers. The free seminar takes place on Wednesday, 21 May between 10.30 – 12.30 followed by a buffet lunch at LACE Conference Centre, Croxteth Drive, Sefton Park, Liverpool L17 1AA. To book your place please call Voss Training on 0151 650 6600. The government has recently introduced a common commencement date for new legislation. Most legislation is now introduced twice yearly, in April and October. Listed below are some of the new legislation updates coming into effect from April 6 2008. They include changes to Corporation Tax, Capital Gains Tax and the Annual Investment Allowance. Click ‘more’ for the full list.